I have some bizarre form of a stomach virus that only causes pain for about 18-24 hours and then goes its merry way. So last night while hovering around the bathroom just in case I heard a sound. It was a cross between a bird call, a metallic gonging like a Himalayan singing bowl, and the sort of glittering tinkle that is often associated with cartoon fairies. Being indisposed I was unable to investigate, but it was such a magical sound that I thought, “Some kid must be having a marvelous adventure. I hope it’s one of mine.” Yes, these are the sorts of thoughts I have while ill. I am totally willing to entertain the possibility that it was hallucinated. But how often to we as parents dismiss our children’s development as a matter of course, that inevitable progression that we all go through. How often do we blithely go about our days, maybe making note of a new trait, and then dismiss it without much thought at all? I’m not suggesting that our kids are taking magical journeys behind our backs and we aren’t noticing. I’m saying we have an opportunity to celebrate small miracles in our daily parental slog. When a three year old says, “No, I do it myself!” or a nine year old rolls their eyes at a request for the first time we have a choice– frustration or wonder. I’m not good at making this choice, though the above three year old was one such time. I too often chose to plant my feet in my own path without taking advantage of the vista before me. I have a view of my own childhood experiences and I can use that to marvel at how far I have come. I can dispense loving advice and recognition when those chances come. Or I can be Chihiro’s parents from that bit of Studio Ghibli brilliance, Spirited Away. She blossoms in the days of adversity she experiences, and they don’t even notice. Their blindness not only gets them into trouble, but it keeps them from seeing the growth in their own daughter. As a kid watching such a movie I’m not sure I even noticed how dumb and self absorbed they were; to me they were just parents. Now as a parent I wonder what they could have been thinking and how does your kid go from, “I don’t want to move, I hate all of this,” to someone poised and ready to meet the new challenges that will come her way. She is in a sense a different person and her parents can’t even tell. I wonder, as a mom of six, how often my kids undergo such metamorphosis and I don’t notice. How many times do I have the blinders of daily responsibility on so tight I cannot see the magic of my growing kids before me? Do I know them well enough to sense the changes coming or at least recognize them when they do? I think from now on whenever I hear a magical, unplaceable sound I will hope it means my babies are experiencing an enchantment, and make a point of celebrating their moments of developmental transformation as the evidence of the fantastic they are. If I can increase my ratio of wonder to frustration perhaps this stupid virus and the attendant headache will be worth a little something. I don’t know about most of you, but for me 2014 was a real mixed bag. There were some amazing things: pulling off the ANWA Conference in February, the birth of my sixth (and last) child in August, the baptism of my oldest son, and the publication of my first novel in October. I also discovered Mexican hot chocolate, The Pioneer Woman (and thus the concept of adding cream to nearly everything), and Pinterest. There were hard things, too. Some of it very personal, some ephemeral in nature, and some that is just par for the course when you have a romp (a large group of otters)of children under the age 8. I’ve developed severe reactions to certain social situations. I have panic attacks (less so now that medications and essential oils are on board). I feel like the Lord has spent 2014 trying to teach me about humility and compassion for individual people. I’m not sure how effective it’s been, but I do feel changed. I’m just not sure it’s for the better. My New Year’s tweets from last year were all about making it through by the skin of my teeth and being ready for something lighter in 2014. I really hope God got a good laugh out of those because this year has just been hard. Even the good stuff was taxing. And now that I am looking into 2015, I feel like I am peeking around the cracked open door, more than a little trepidatious of what lies in store. If what lies ahead isn’t healing and warm and fuzzy in nature, I’m not sure I’m ready. I need a year of comfort, a year that convinces me I am in the right place and safe, again. I am choosing to take the rain (it’s raining here in AZ) as an omen. See, in the desert rain is hope. Rain is the promise that tomorrow we won’t wither away, and that the place we have put our roots will nourish us a little longer. Rain is life here. I have also had more than one encounter this year with hummingbirds. Most of you will shrug and say, “So?” For me and my family hummingbirds are also a sign of hope. They are a sign that we are watched over and loved from above. They signify that we are not alone in our journeyings and that heaven is aware of us. 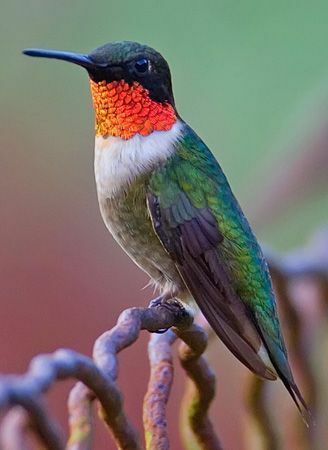 Moving to a home with a hummingbird feeder and the flowering plants that attract them in AZ was not coincidental. It was part of a decision to draw closer to the Spirit. And I know this year will see me filling my cup with that which is, “lovely, of good report, or praiseworthy.” –LDS Articles of Faith 1:13. So as far as 2015 goes, I think in some respects it’s going to get harder. I will be out and about in the world (at least a few times) selling my book and me as an author. I will be diving into the task of writing the next book in the series, The Ideal Apprentice, as well as a middle grade piece I am working on. I still have kids to raise and a house to clean. I have a husband who has taken just as large a hit over this year as I did, and could use a little T.L.C. But I am confident that somethings will get easier, and that I will find ways to sustain myself so that this coming year leaves me feeling full and ready for 2016. I hope your goals leave you feeling optimistic, as well. Happy New Year, everyone! !